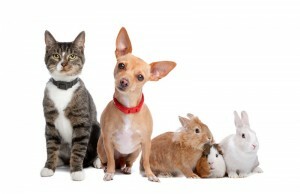 Can I Keep the Pets in My Florida Divorce? We become quite attached to our pets over time. We bond with them. We play with them. We feed and nurture them. They provide solace during our times of crises and emotional turmoil. They become one of the family. We grieve them when they die. In divorce cases, experienced divorce attorneys from Jupiter to West Palm Beach recognize that pets are important part to families. Unfortunately, the courts in Florida treat pets not as a member of the family but rather as a form of property. If you have a valuable pet such as a horse, purebred, or show animal, it will be considered to be a valuable asset and may be treated accordingly. Schedule a Personalized Divorce Assessment With an Attorney Today! If you and your spouse do not agree as to the ownership of the valuable pet, the judge could order that the animal be sold and the proceeds divided according to what the judge thinks is appropriate. Although in Florida your pet is legally considered to be property, you may wish to consult with an experienced attorney to develop tactics to either negotiate or litigate the ownership of your pet. For instance, if you have minor children (human) who have formed a close attachment with the pet, consider letting the pet go to the parent who has majority timeshare of the children. To view other strategies, please visit my You Tube video, "How can I Keep the Pets in a Divorce?" The litigation of pets is a very emotional issue in court. Because of our close bonding with our pets, make sure that you don't shortchange yourself. Inform your attorney early in the case and prepare your positions in negotiation and litigation on this issue.